Nephrology is a specialty that offers nonsurgical interventions for kidney problems. Your nephrologist in Brooklyn is part of a larger practice that provides complete care for you and your family. 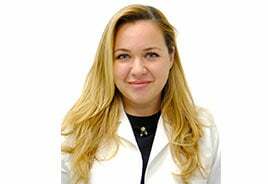 While nephrology doctors provide nonsurgical treatments, your nephrology doctor can refer you to a Brooklyn doctor for surgery when it comes to weighing a nephrologist vs. urologist. Note: Brooklyn nephrologists at Century Medical and Dental Center located in Downtown Brooklyn, Flatbush or Gravesend locations are accepting all major insurance plans including Medicare and Medicaid. Nephrology is a medical specialty focused on the study of kidney function and diseases. A nephrology doctor, or nephrologist, diagnoses, treats and manages kidney problems, including kidney stones, renal failure and advanced disorders like cancer. A nephrologist in Brooklyn could save your life someday. Since hypertension and obesity contribute significantly to kidney diseases, specialized kidney-friendly diets are becoming more popular. Nephrologist doctors who stay current about managing renal disorders turn to diet as a natural remedy. Ask your doctor how changing your diet can help strengthen your kidneys. When choosing a nephrologist in Brooklyn, you must understand the difference between a nephrologist vs. urologist. Both treat kidney problems, but a nephrology doctor relies on nonsurgical methods — such as dialysis and renal replacement therapy — to treat kidney conditions. Urologists use surgical techniques to correct disorders of the urinary tract and kidneys. 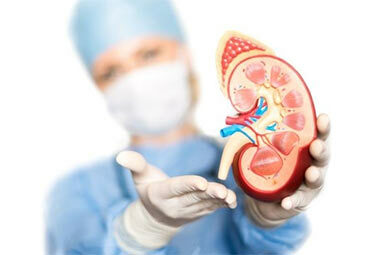 Many surgical interventions for kidney problems are available. If a surgical approach becomes necessary for you, you can be sure that your nephrology doctors will refer you to a urologist who can perform it. When treating chronic kidney disease, nephrology doctors focus on treating the underlying cause and slowing the progression of damage. Hypertension, high blood pressure, is the second leading cause of kidney failure in the United States. Unless it’s successfully managed, its long-term side effects can lead to chronic kidney disease. If you have hypertension, you’re advised to make significant lifestyle changes to reduce the likelihood of developing chronic kidney disease. Kidney stones. When deposits of crystalline minerals and salts form within your kidney or urinary tract, you usually experience severe pain in your lower back and side, as well as pain while urinating. You may see blood in your urine when you have kidney stones. Your nephrologists diagnoses kidney stones with an ultrasound and treats the condition with pain medications until the stone passes on its own. Ultrasound may be employed to break up a large stone. In certain cases, you may have to undergo surgical techniques to remove the stone. This is the term for the presence of excess protein in your urine, which can indicate illness and possible kidney damage. Proteinuria can have any number of underlying causes, from simple dehydration to early kidney disease. Acid-base or electrolyte disorders. Your kidneys — in conjunction with your lungs — form a complex system that regulates the electrolytes and compounds critical to maintaining your body’s optimal health. When your kidneys are unable to maintain an appropriate acid-base balance, serious disorders can occur. Nephrologists treat this condition with dietary restrictions and specialized medications designed to restore your body’s equilibrium. Acute kidney failure is a serious condition during which the kidneys become unable to filter wastes and byproducts from the body. This situation leads to dangerous levels of toxicity that swiftly turn fatal over a span of hours or days. Although kidney failure occurs most often when you’re already critically ill, it can manifest when you’re healthy without any visible signs or symptoms. A nephology doctor evaluates and treats kidney failure based on its cause. He then works to support the body while the kidneys recover. Kidney cancer is one of the 10 most common forms of cancer. Like chronic kidney disease, kidney cancers rarely exhibit symptoms in the early stages. It’s not until the cancer reaches a more advanced stage that you experience one or more signs of the disease. Tumors can grow quite large before being detected too. Find a nephrologist in Brooklyn to learn more about the nephrology treatment options available to you and your family. Call immediately if you see blood in your urine. Your Brooklyn nephrologist is a good place to start when you’re seeking more natural remedies for urinary tract infections and conditions.